CHARLESTON, S.C. -- An unrepentant Dylann Roof was sentenced to death Tuesday for killing nine black church members during Bible study, the first person to face execution for federal hate crime convictions. A jury deliberated his sentence for about three hours, capping a trial in which the white man did not fight for his life or show any remorse. He was his own attorney during sentencing and insisted that he wasn't mentally ill, but he never asked for forgiveness or mercy, or explained the crime. And he threw away one last chance to plead for his life on Tuesday, telling jurors: "I still feel like I had to do it." 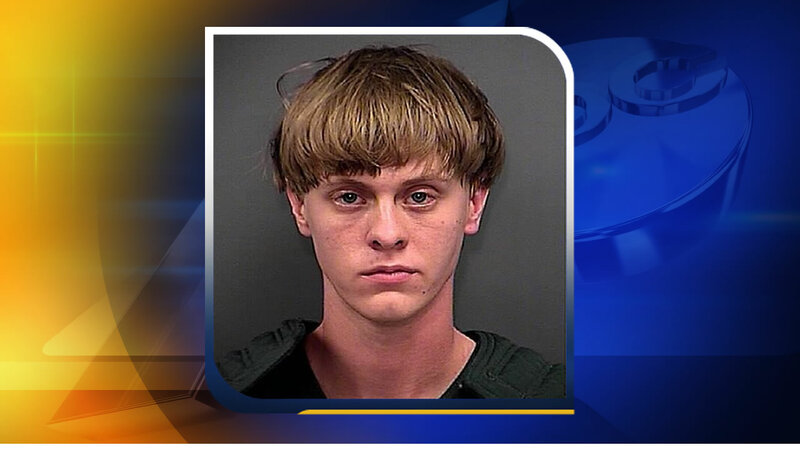 Every juror looked directly at Roof, 22, as he spoke for about five minutes. A few nodded as he reminded them that they said during jury selection they could fairly weigh the factors of his case. Only one of them, he noted, had to disagree to spare his life. "I have the right to ask you to give me a life sentence, but I'm not sure what good it would do anyway," he said. When the verdict was read, he stood stoic and showed no emotion. Several family members of victims wiped away quiet tears. Roof told FBI agents when they arrested him after the June 17, 2015, slayings that he wanted the shootings to bring back segregation or perhaps start a race war. Instead, the slayings had a unifying effect, as South Carolina removed the Confederate flag from its Statehouse for the first time in more than 50 years and other states followed suit, taking down Confederate banners and monuments. Roof had posed with the flag in photos. Malcolm Graham, whose sister Cynthia Hurd was slain, said he thought the jury made the right decision. "There is no room in America's smallest jail cell for hatred, racism and discrimination," he said from his home in Charlotte, North Carolina. "The journey for me and my family today has come to an end." Roof specifically picked out Emanuel AME Church, the South's oldest black church, to carry out the cold, calculated slaughter, Assistant U.S. Attorney Jay Richardson said. The 12 people he targeted opened the door for a stranger with a smile, he said. Three people survived the attack. "They welcomed a 13th person that night ... with a kind word, a Bible, a handout and a chair," Richardson said during his closing argument. "He had come with a hateful heart and a Glock .45." The gunman sat with the Bible study group for about 45 minutes. During the final prayer - when everyone's eyes were closed - he started firing. He stood over some of the fallen victims, shooting them again as they lay on the floor, Richardson said. The prosecutor reminded jurors about each one of the victims and the bloody scene that Roof left in the church's lower level. Nearly two dozen friends and relatives of the victims testified during the sentencing phase of the trial. They shared cherished memories and talked about a future without a mother, father, sister or brother. They shed tears, and their voices shook, but none of them said whether Roof should face the death penalty. Jennifer Pinckney testified about huddling under a desk with her 6-year-old daughter, her hand clasped over the girl's mouth to keep her quiet, as Roof started firing. Not knowing for certain if the danger had passed, Pinckney dialed 911 and breathlessly told an operator she had heard shots inside the church. "I think there's been a shooting. I'm in the closet, under a desk," Pinckney told the operator. "Please hurry." On the call, Pinckney tries to comfort her daughter Malana, who had been watching cartoons in her father's office as he participated in Bible study. "No, baby, no," the mother says. But at that moment, Pinckney said she knew her husband, church pastor Clementa Pinckney, had been killed. The prosecutor reminded jurors that Clementa Pinckney, the church pastor and a state senator, would be remembered for singing goofy songs and watching cartoons with his young daughters. In a sign of perhaps how important that testimony was, jurors re-watched a speech by Pinckney in which he talks about the history of Emanuel and its mission. The jury convicted him last month of all 33 federal charges he faced, including hate crimes. Roof did not explain his actions to jurors, saying only that "anyone who hates anything in their mind has a good reason for it." Roof had the opportunity to present evidence that he had possibly suffered from mental illness, but he did not call any witnesses or present any evidence. In one of his journals, he wrote that he didn't believe in psychology, calling it "a Jewish invention" that "does nothing but invent diseases and tell people they have problems when they don't." His attorneys said he didn't want to present any evidence that might embarrass him or his family. After he was sentenced, Roof asked a judge to appoint him new attorneys, but the judge said he was not inclined to because they had performed "admirably." "We are sorry that, despite our best efforts, the legal proceedings have shed so little light on the reasons for this tragedy," the attorneys said in a veiled reference to the mental health issues they wanted to present. A judge will formally sentence him during a hearing Wednesday.